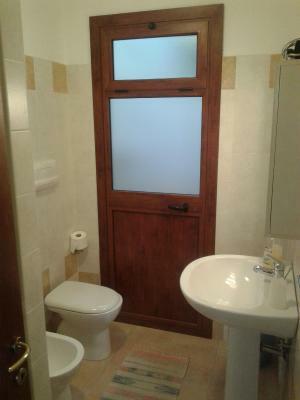 Lock in a great price for Guesthouse Affittacamere Goloritzè – rated 8.6 by recent guests! Great hosts, quiet localization, delicious breakfasts. 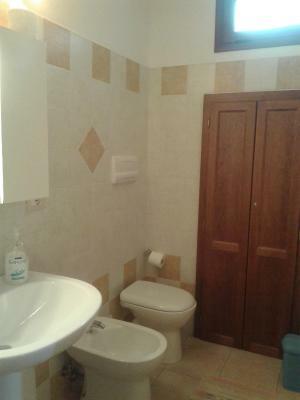 Goloritze is well located about 1km from the beaches and near supermarkets etc. Initially offered a rather small room, we moved to a good sized apartment for very little more, with a kitchen and balcony. This suited very well and we had an enjoyable four days. Vicenza was a lovely, friendly host keen to make sure any requirements were met. Great pizza/ seafood restaurant right next door, very clean and spacious. Excellent hosts, good breakfast, nice home made wine. Staff impeccabile,colazione abbondante,posizione logistica perfetta...non si può chiedere di meglio!!! Chambre spacieuse, petit déjeuner correct. Le vrai plus : propriétaire très serviable. La posizione era ottima, lontano dalla via principale, in alta stagione è una cosa positiva visto l'alta frequenza di turisti, ma non troppo lontano per raggiungere il centro a piedi. La struttura è molto pulita e accogliente, è presente tutto il necessario per il soggiorno, i proprietari sono molto simpatici, disponibili e presenti. Colazione abbondante e buonissima. È come sentirsi a casa. La gentilezza e simpatia dei proprietari. La pulizia. 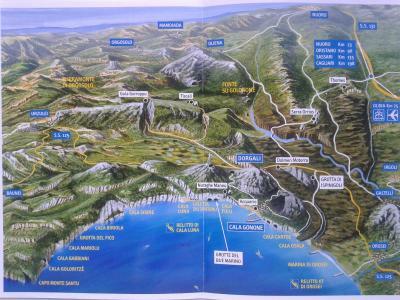 Located in Cala Gonone, Affittacamere Goloritzè is 0.6 mi from local sandy beaches. 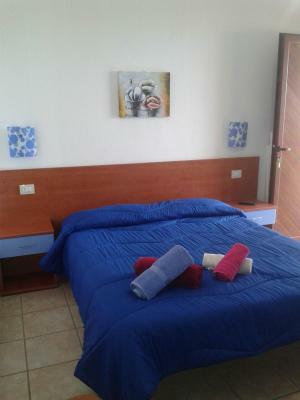 It offers a garden and simply-furnished rooms. 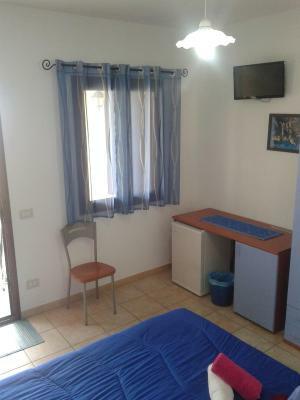 Each room at Affittacamere Goloritzè is en suite and includes a TV, desk and a fan. Rooms are set on the lower ground floor and each has a private entrance. A sweet and savory breakfast is served daily. Guests can enjoy hot drinks, ham and cheese, together with fruit, homemade cakes and croissants. Orosei is a 30-minute drive away. Nuoro is 25 mi from the property. 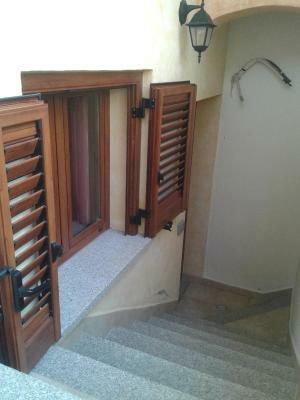 When would you like to stay at Guesthouse Affittacamere Goloritzè? Simply-furnished room with a TV, desk and a fan, as well as a window. The private bathroom has a window. A hairdryer and free toiletries are available on request. Some rooms are set on the lower ground floor. House Rules Guesthouse Affittacamere Goloritzè takes special requests – add in the next step! 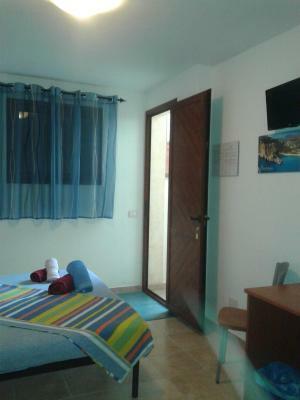 Up to two children from 2 to 12 year are charged EUR 15 per night for extra beds. 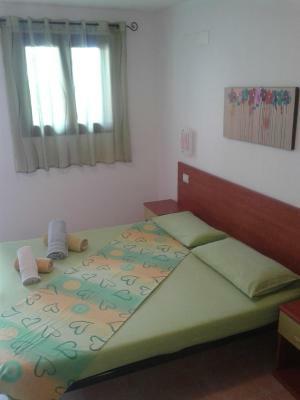 Up to two older children or adults are charged EUR 30 per night for extra beds. Please inform Guesthouse Affittacamere Goloritzè of your expected arrival time in advance. You can use the Special Requests box when booking, or contact the property directly using the contact details in your confirmation. Room selection is important. We would not have stayed in the first one offered.